It is our core belief that all human life is intrinsically valuable. The value of life is not diminished because a person is disabled, unborn or near the end of life. Value is not determined by whether the person is independent or totally dependent on others. It is not based on productivity or on physical or intellectual potential or accomplishments. Value is not dependent on whether a person has family relationships or friendships. It is not contingent on being wanted, loved or admired. Human life is intrinsically valuable and worthy of dignity and respect simply because it exists. At Arthur’s we offer the highest quality residential support for the elderly, in keeping with our core belief that human life is intrinsically valuable. This core value is central to everything we do and every decision we make at Arthur’s Senior Care. Our focus on the intrinsic value of each person impacts every aspect of Arthur’s residential support services for the elderly. Losing one’s memory can leave a person feeling confused and anxious. 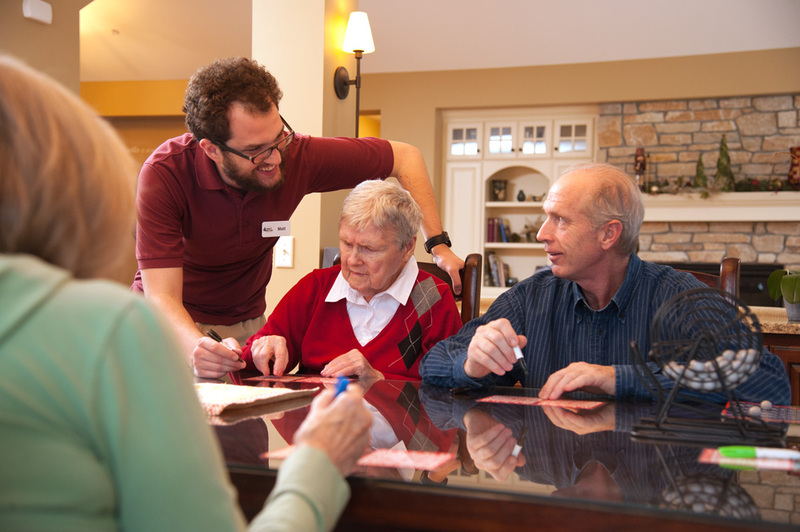 At Arthur’s our smaller setting is ideal for memory care and reduces challenging behaviors. We also understand that we need to adjust our approach as our clients’ needs change. We have a high staff ratio of two staff to six clients, with carefully trained caregivers who can connect with clients to calm, comfort or redirect them. This is key to Arthur’s unique approach in providing residential support services for the elderly. Our staff strive to optimize health, communication, and mobility for each person on his or her own terms, so that each person can enjoy daily routines and special activities tailored around his or her unique needs and interests.